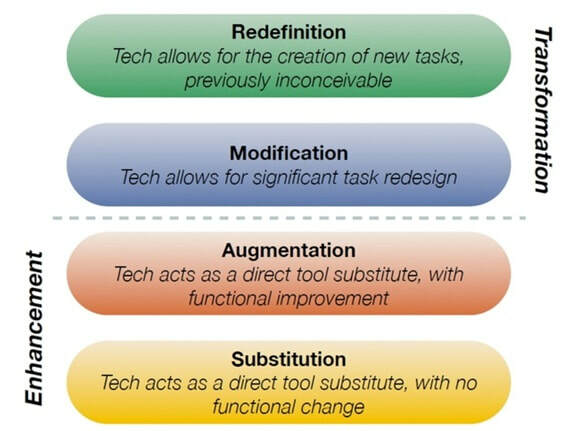 The Substitution Augmentation Modification Redefinition Model offers a method of seeing how computer technology might impact teaching and learning. It also shows a progression that adopters of educational technology often follow as they progress through teaching and learning with technology. While one might argue over whether an activity can be defined as one level or another, the important concept to grasp here is the level of student engagement. One might well measure progression along these levels by looking at who is asking the important questions. 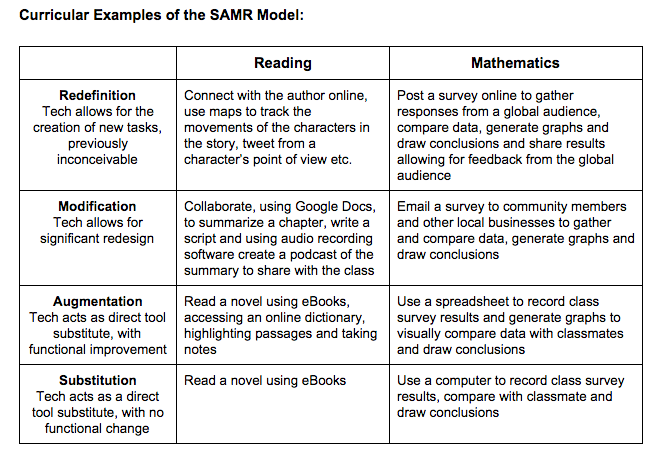 As one moves along the continuum, computer technology becomes more important in the classroom but at the same time becomes more invisibly woven into the demands of good teaching and learning.